Félicien David was already famous through his ‘ode-symphonie’ 'Le Désert' (1844) when his opera Herculanum was first staged at the Paris Opéra in 1859. This ambitious work, later to gain him entrance to the Opéra-Comique and the Institut de France, also played a part in earning him the Légion d’Honneur. 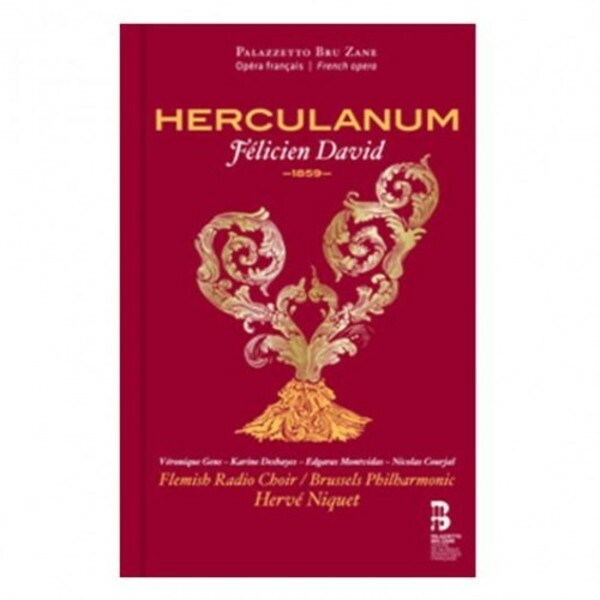 Leaving behind the Middle Eastern inflections of his earlier scores, Herculanum is a remarkably strong composition (vast, intensely dramatic scenes), impressive in the diversity of its style (including Verdian influences) and its vocal variety (including the rare coloratura contralto voice often used by Rossini). There is also a fantastic vein, as made popular by Boieldieu (La Dame blanche, 1825) and Meyerbeer (Robert le Diable, 1831), but the supernatural is used here to serve an openly stated mysticism: the eruption of Vesuvius brings a spectacular, cataclysmic ending, signifying the decadence of the ancient world and the triumph of Christianity.